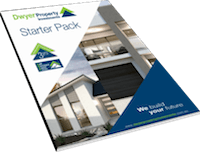 As you will see from the brochure, they are a very upmarket construction and will lead the Estate in design and finish therefore attracting a high rental yield estimated at $520 per week. 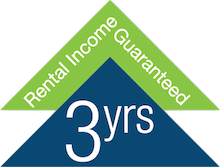 We are also offering a 3 year rental guarantee which would ensure a high return for the investor with no risk of vacancy for 3 years. There were 7 for sale with now ONLY 3 remaining. “I currently live in Brisbane but I haven’t decided if I want to use this house as an investment property or if I want to live there. I saw an add from DQH in an email I received from them, which caught my eye. I went and had a look at the Harmony display village. There was a lot to like about Harmony and the approach taken by Avid as developer. I love the idea of the park and the amount of greenery really close to where DQH were building and the Harmony estate in general. This really appealed to me. Every house in the community is within walking distance to a park, which is fantastic. I’ve been debating whether or not I should move up to the Sunny Coast for over five years. I’ve just sold a property in Brisbane and I saw the DQH terrace homes for sale and this seemed like a really good opportunity. 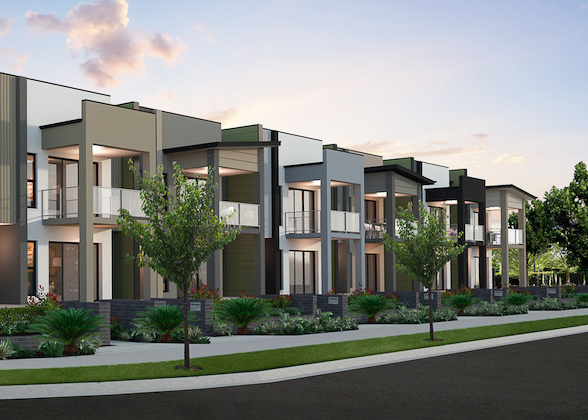 These terrace homes are designed to reflect New York style of living – like you’re living in the city, but you’re not in the city but with the parks and National Park areas creating a very relaxed and almost country atmosphere. I work in the property and construction industry and I was very impressed with the finishings on the terrace houses offered by DQH and Harmony in general. I don’t get into the nitty gritty details of design, but I really liked the stone benchtops and simple tile finishes and the smaller living areas save on time with cleaning and maintenance. My house has a pleasant internal and external configuration with the benefit of deck areas both upstairs and downstairs overlooking Grand Park. This is really appealing and the internal courtyard provides a relaxing, private space to chill out of the way.